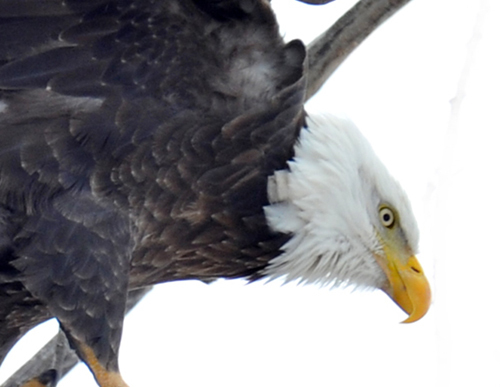 Bald Eagle identification sources offer this information on ages and eyes. 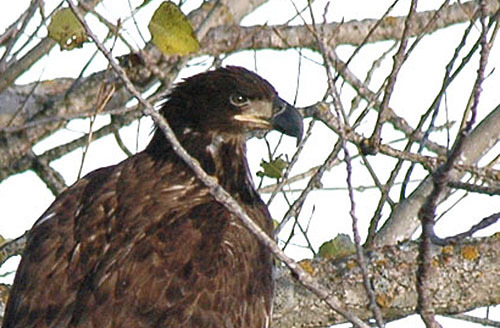 1st year immature eagles have dark brown eyes. 2nd year immatures have light brown to dark cream eyes. 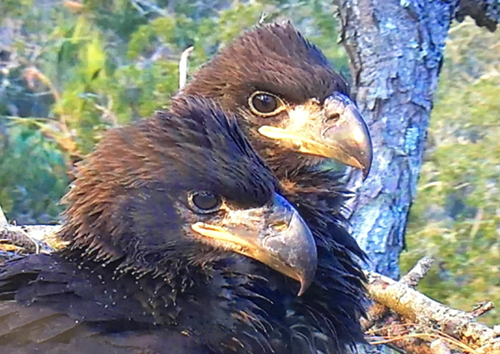 5th year adults and all older birds have bright yellow eyes. Plumage, of course, is another guide to age, the white head and tail indicating an adult. From the solid brown of a first- year bird to adult, feathers are a patchy mix of white and brown, the colors sorting themselves into the most reconized plumage in five years.